I love finding snacks that my family loves! 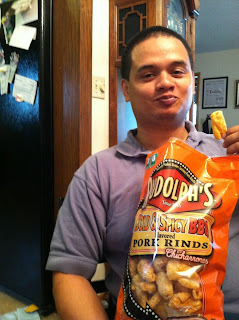 My husband loves pork rinds, so he was thrilled to review Rudolph Foods' Pork Rinds! His favorite were these Bold & Spicy BBQ. He said they had a strong taste, but not overpowering. He also said the texture was light and they were not overly greasy. The bags were large, and were enough to bring to share with people at a summer picnic or to the beach. Since Rudolph Foods are the leading producer of pork rinds, you know you are going to get a tasty treat, no matter which flavor you choose! Mamas! Let's start this school year right! At MamaBreak we support standing up against bullying, and we would love if you would join us! Take a Standing Up! Pledge and help them put a stop to bullying! 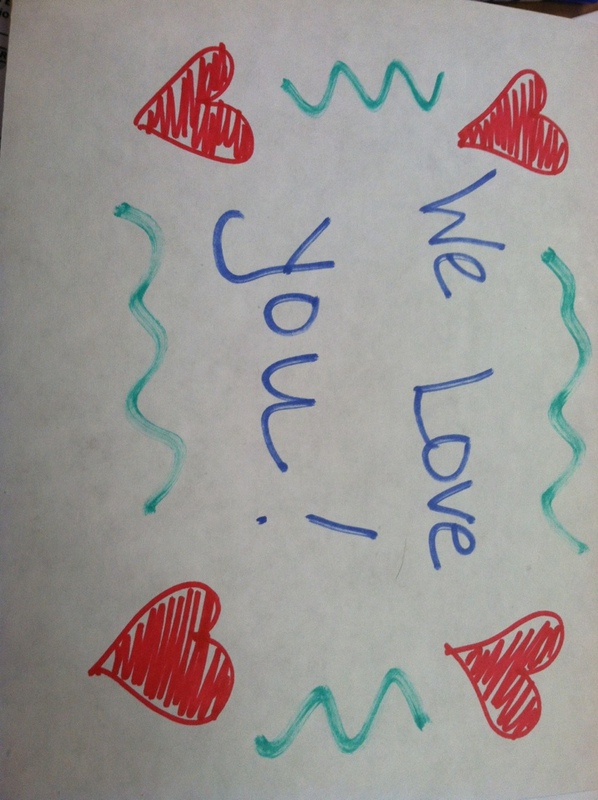 Print it and put it somewhere to remind yourself that you and your family stand up against bullying! Do you have what it takes to stand up? Take the quiz below! Want to win this fantastic DVD SIGNED by the filmmaker?? 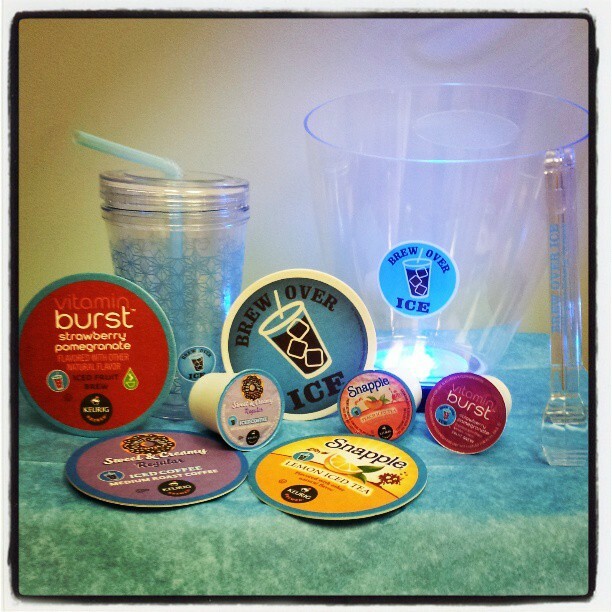 Enter now to win your own prize!!! You know me!! I am ALWAYS looking for ways to improve my laundry experience! 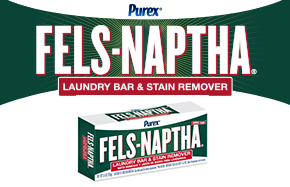 We received a Purex Fels-Naptha Laundry Bar to review on MamaBreak, and really liked the experience. I had never used a laundry bar, so I was not really sure what to expect. 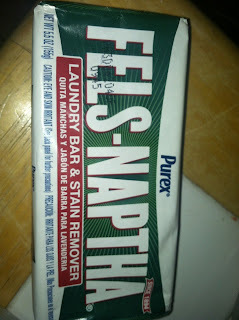 This Purex laundry bar does so much, so that really surprised me! 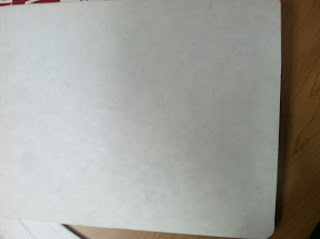 We primarily used it as a stain remover or a stain treatment (you can even use it as laundry soap!). You can shave it into your laundry to just protect your clothing from staining, but we really loved rubbing it directly on stains! It takes out set in stains so you can use it to remove greasy stains or even to treat oily stains! It took all stains we used it on right out, so we were pretty impressed! We recently received some fabulous products from Fellowes for our new office space. Watch what we thought! We love both products. The Laptop riser was very sleek looking and fit in with our office space. We have used the Document Lift many times, as we love making videos! We especially love to use it for putting up a recipe while we are cooking! We received these items to review here on MamaBreak. We did not receive any other type of compensation. As always, our opinions and experiences are our own. With over 10 loads of laundry every week, I am always looking for ways to cut down on both laundry time AND money. We LOVE Woolzies!!! 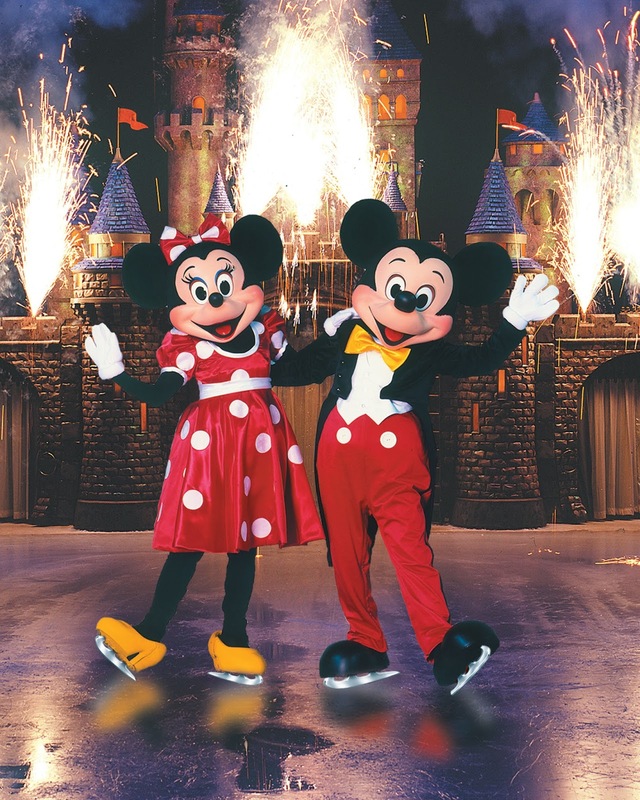 And we are so excited to review them! 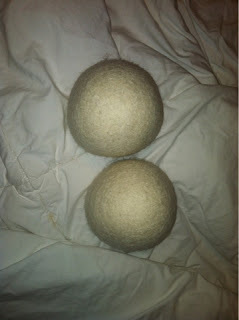 Woolzies are a dryer ball that cuts time on your drying time by 25% because they help to dry the laundry. They also work as a static cling guard, so no use for laundry sheets! AND they are good for up to 1000 loads (with a money back guarantee if they do not last that full time). 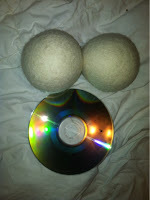 They are about the size of a tennis ball, as you can see from this CD size comparison. What I really love to do is spraying a little essential oils (or just dropping it on with a dropper) to add a little natural scent to them! I have talked about before my almost non-existent brows. Not only are they light in color, but I have a scar in the middle of one of my eyebrows, which makes my eyebrow hair very sparse. 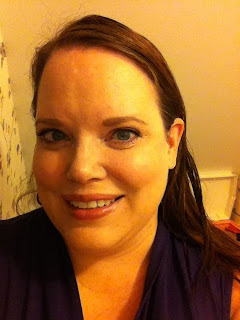 I LOVE a good eyebrow pencil, and believe it is an essential make-up item. 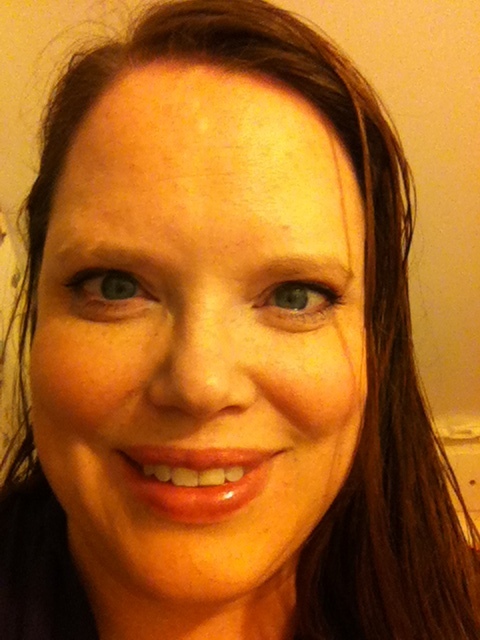 I absolutely LOVE the Vanitymark eyebrow pencil from Brett Freedman!! Brett Freedman is an LA based make-up artist that has worked with places like Pantene and Neutrogena (just to name a couple of brands! ), and now has his own line of make-up! This eyebrow pencil did not disappoint! I loved that it came in a TON of colors to choose from! 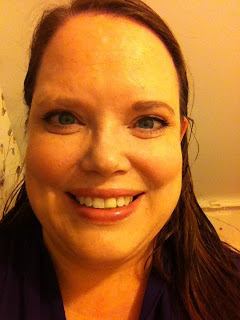 I chose Auburnnista, which was the PERFECT shade for my red tint! It will be even more red after the weekend (I am dying it for the Fall), so I wanted to make sure it was a good match! I love that it is not SUPER red, but has just a hint, so it does not compete with my hair! This is me BEFORE any eyebrow liner! Eek! This is with 1 eyebrow using the eyebrow pencil from Vanity Mark by Brett Freedman. And both! You can clearly see that just the addition of eyebrow pencil makes a dramatic difference and really brings out my eyes! Or follow them on the following social networks to help make yourself beautiful! I am loving the tips on the Facebook page! 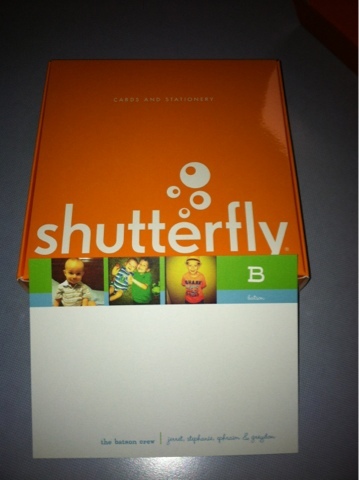 We just love all the goodies Shutterfly shares with it's email subscribers. These flat cards are what we redeemed a few weekends ago. We are also working on two books for our kiddos first year at preschool and the artwork he created. We love redeeming our pampers points and coke point for gifts too! These are practical sweet gifts we share with grandparents too! What projects do you like on Shutterfy? Are you looking for a case for your iPad that is really unique? 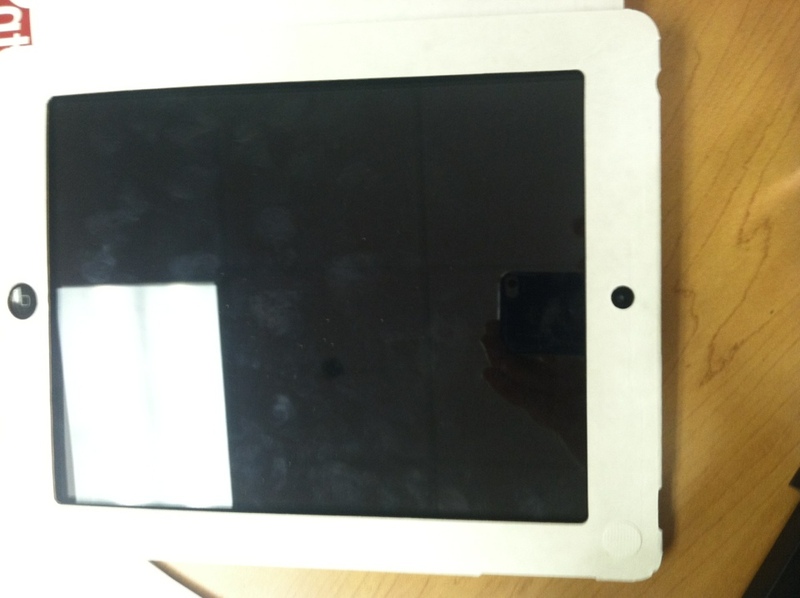 We reviewed this iPad case from Apple Pie, and my kids had a blast decorating it. 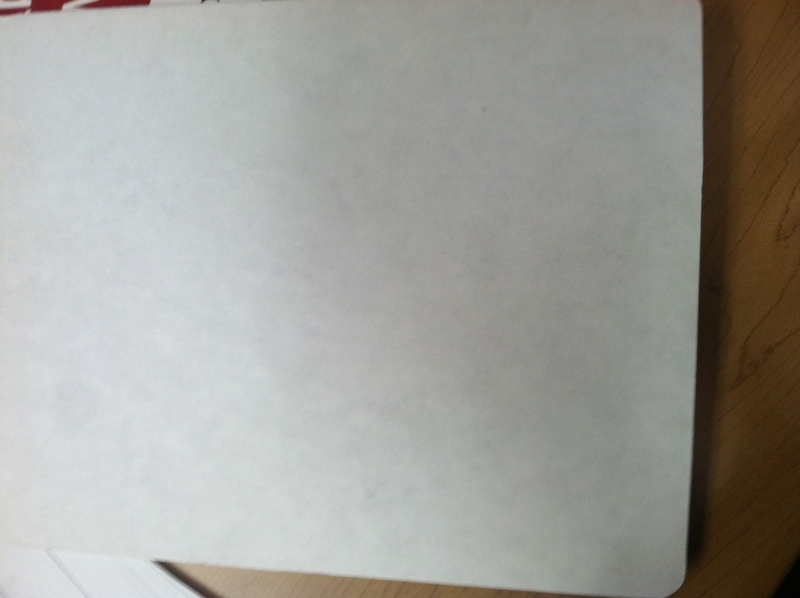 The case is cardboard material and is made in the USA. 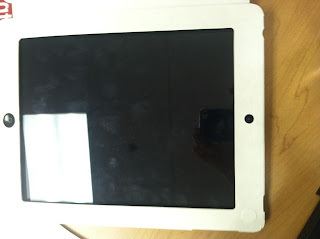 Although they list it as a kids iPad case, I was not really confident in its ability of protecting my iPad from bumps and drops. My kids are very supervised when using the iPad, and we generally use a military-grade case for it. What was unique about this case is that it is plain, so it immediately encouraged creativity for my children. They decorated one for their grandparents as a gift, which we thought made it a truly unique and instantly special gift-- for almost anyone! We love saving the kids' artwork, and my parents love when we share their special drawings with them, so this made the perfect gift! The best part is, at only $16.99 for 3, you can make several and give them to all of your family! They are also 100% recyclable! 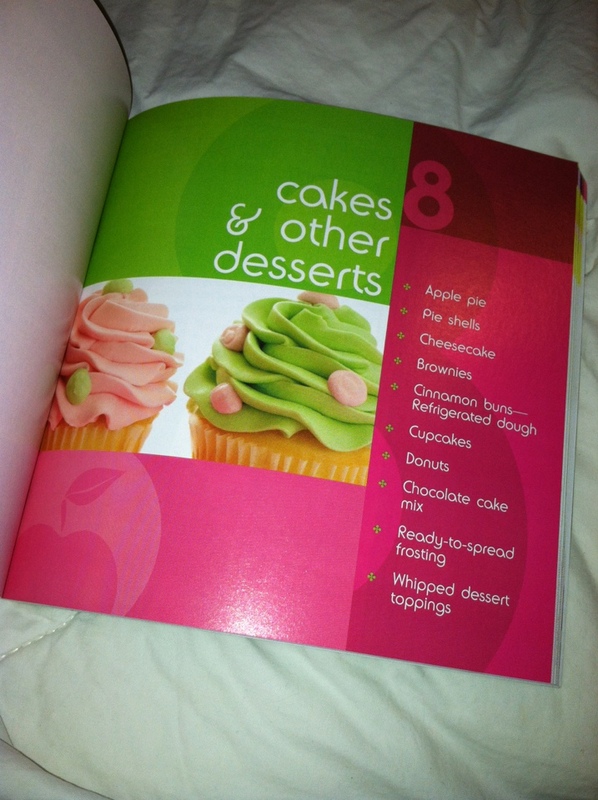 Apple Pie features many other American brands! Do you love you Keurig as much as I do? 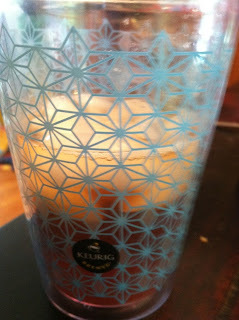 I just got a new Keurig machine, and love making myself a nice flavored coffee in the morning! Did you know that Keurig makes beverages meant to be cooled over iced. I was thrilled tor eview and iced coffee, vitamin burst, and iced tea! My favorite was the vitamin burst! It had a nice, strong berry flavor and really work me up! I also love the iced tea. 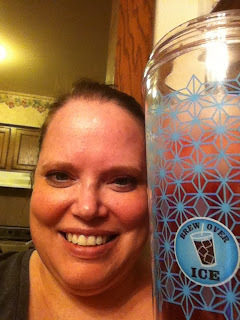 I am usually not a flavor of ice tea, but something about a peach iced tea on ice in the summer is just heavenly! You can also check them out on Facebook and Twitter. Wordless Wednesday.....100 Years of Magic! I am always looking for new products for my tween daughter. Because she has sensitive skin, I am very careful about the types of products that she uses. 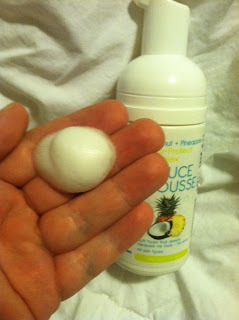 I was thrilled to review Too Fruit Foaming Face Wash! 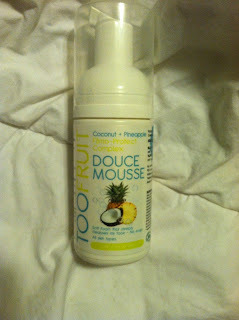 Too Fruit for kids is a special, organic skin care line made just for kids ages 6-12. I love that my daughter can be encouraged to wash her face twice a day without stripping her face of the needed oils! I also love that it is organic and safe for her to use. She really enjoyed the smell and how well the face soap foamed. It was a nice, light foam. 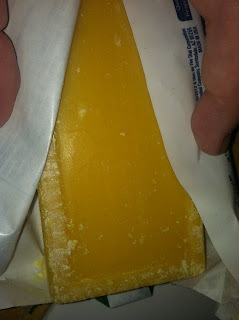 The smell is very tropical, and she commented how refreshing it was to use. I loved that it can be wiped away with a towel-- no water needed! Perfect for camping! Or find out more about Too Fruit at their Facebook page: Facebook.com/TooFruitUSA! Balance Bars and Itzy Ritzy are getting YOU ready! Summer is coming to an end! We will be featuring our favorite summer products the next couple of weeks, which can only mean that back to school is almost here! Are YOU ready? 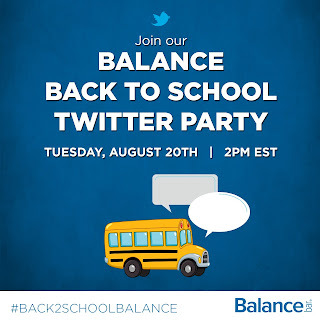 We are so excited that we got to try out Balance Bars for Back to School-- AND we get to share the with you too! Ok, so I have to admit I am kind of a protein bar snob. 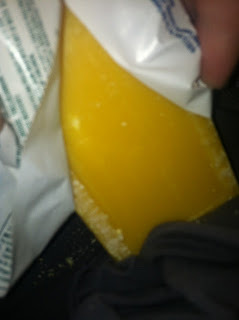 Truth be told-- I only want to eat something that tastes GOOD, and to me most protein bars taste like cardboard. 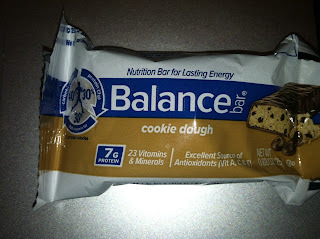 I just fell in love with the Balance Bar mini energy bars because not only are they good for you, but they taste amazing! No cardboard here! 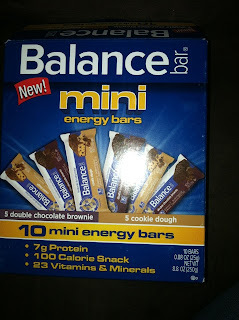 My favorite was the cookie dough Balance Bar mini energy bars, but when you have a box mixed with cookie dough and double chocolate brownie . . . well, it was REALLY hard to choose a favorite! The taste was amazing, and even my kids loved them. We love that they come in a small snack size, which is the perfect snack for after-school and before practice! We also got an Itzy Ritzy snack bag, which we love! We use thise size of snack bag for so many things! 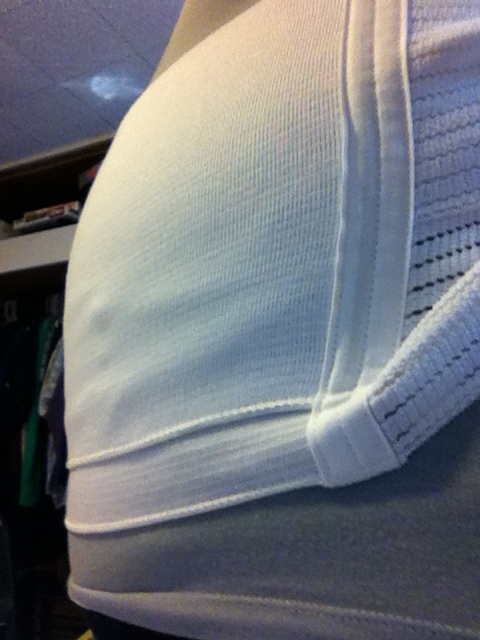 There is a zipper and they are washable, which makes they very functional. You can put almost anything into them, but we like including crackers and cheese in ours for lunch! My daughter also loves to use them to hold toys and puzzles! August is winding down and families are officially in “Back to School” mode, which includes packing lunches, soccer games, play-dates, homework and so much more! Balance Bar® in partnership with the Macaroni Kid parent network surveyed more than 5,000 parents of school-aged children and found that 61% of parents thought that Fall (aka Back to School) is the busiest time of year for their families. · 77% of parents said they have 3 or more activities/events per week on average once school starts. · 80% of respondents said once school starts, they will be planning more meals and attending more sporting events for their kids. · And 57% of parents said they try to have one meal together each day as a family to help balance their schedules. 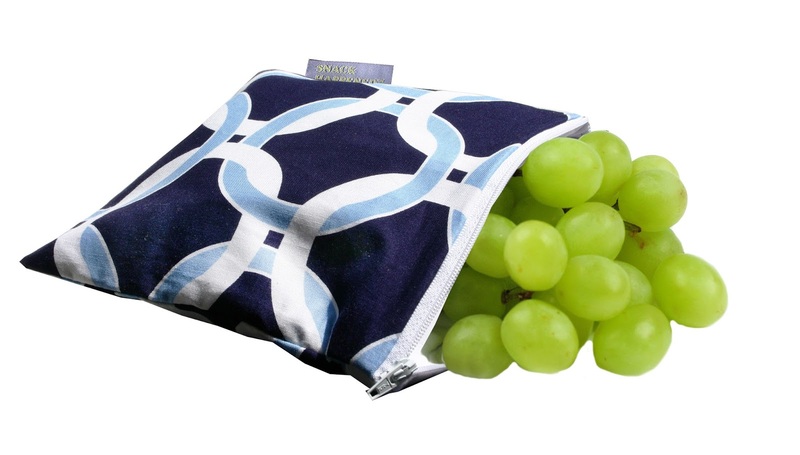 · 79% of parents reported that they pack their kids’ school lunches. · Do a run through. 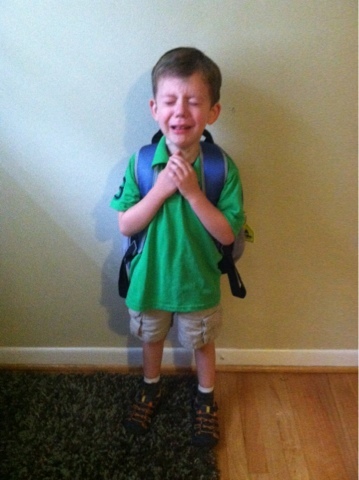 Are your kids starting a new school or a new routine? Do a run through. Wake up "school time," brush teeth, get dressed, pack lunch, have a school-appropriate breakfast and maybe even drive or walk to school. Then, take those packed lunches and head to the park for a final summer break picnic. · Plan the menus. Give your kids several options in each category and let them weigh in on what they'd like to find in their lunchboxes... you won't have to guess each morning and they are far more likely to eat it if they've had a hand in selecting it. 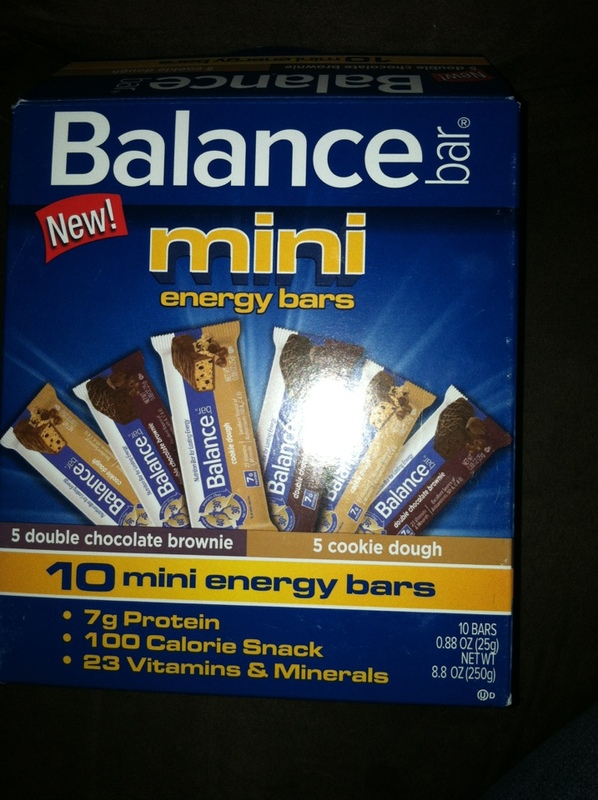 We love Balance Bar® minis to pack along for snacks! · Clean your closets! Nothing gets you and the kids ready for smooth mornings like purged, well-organized closets. · Start a good sleep routine early. Kids love to stay up late in the summer time (and who can blame them) but it makes for tougher mornings if kids are used to going to bed later and sleeping in past "school time" wake up. 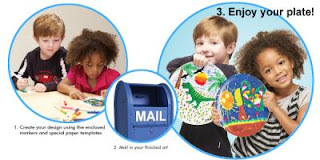 · Set goals with your children for the upcoming school year. Whether it's academics, sports, or extracurricular activities it's great to help kids get motivated for success in the new school year. Interested in hearing more tips on how to balance your schedule come this Fall? Join Balance Bar® Tuesday, August 20 at 2:00 PM EST/11:00 AM PST for a live, one-hour Twitter chat. 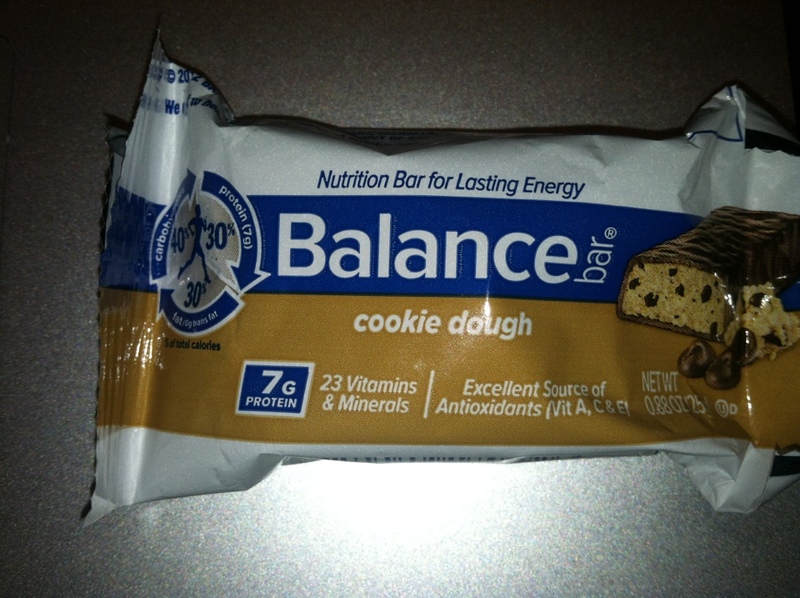 Want to win your OWN prize pack with a box of Balance Bar mini energy bars AND an Itzy Ritzy snack bag? Enter below! Looking for the newest, most innovative toys available? 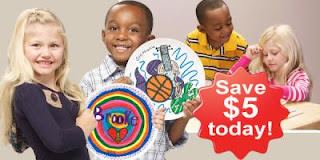 We love unique, high quality toys for our kids. After 3 kids, we have learned that many toys break or get damaged the first time our kids play with them. 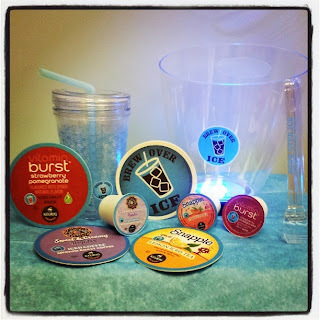 We loved receiving items from B Kids to review here on MamaBreak. The first item we reviewed was the Shake N' Dance Puppy. My daughter really loved this puppy. 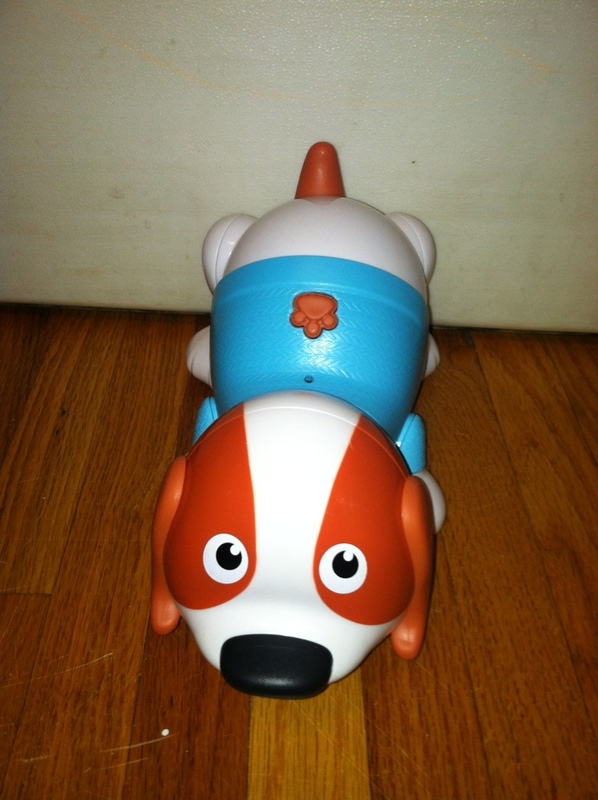 When you shake the bone rattle, he barks and walks. For time you want things to be quiet, there is a convenient off switch! We also tried out the Race 'N Drop Track. This ramp features cars that you slide down it. We loved that the cars were reversible and easy to "drive" along the floor. The reversible nature means that you can change the color of the car by flipping them over. My daughter loves experimenting with the ramp to see what kinds of items will roll down the ramp like the cars. Looking for a bath organizer? We love this duck! It is very adorable, and can function as a toy in the bath as well! 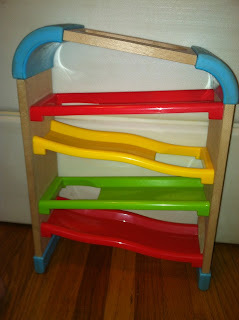 It is easy to store small bath toys in it, as it hangs conveniently with suction cups! My daughter actually loves to use it as a purse, especially when going to the beach-- making it is a summer must have! She usually puts her sunscreen, sunglasses, and shovel in the bag and off she goes! We loved the quality of B Kids Toys. They are well structured and built toys, and we know they will last us for years to come! The best part is, many of the toys will grow with your child! The ramp and cars are enjoyed by everyone in the family, including my 10 year old! 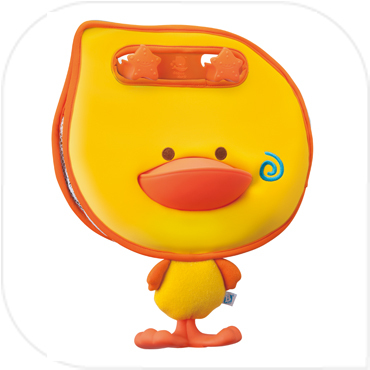 Their toys are simply adorable, durable, and wonderful for kids! Use code: MamaBreak to save an extra 10% at checkout! Join the fun and OMGuac your lunch for a chance to win! Show us your OMGuac Lunch! 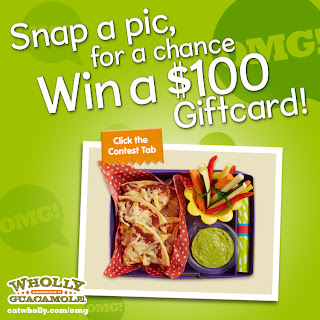 You could win $100 gift card and FREE Wholly Guacamole® dip! different lunches with the same ingredients. 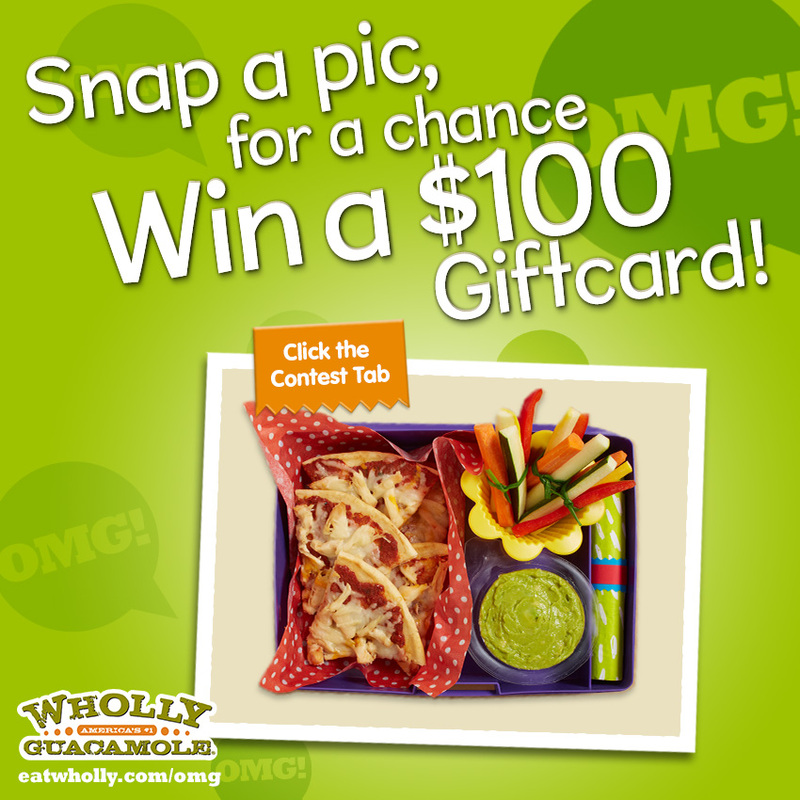 $100 gift card and FREE Wholly Guacamole! - 3 Weekly Winners will be announced. We know that back to school shopping can be super spendy, and we are here to help! 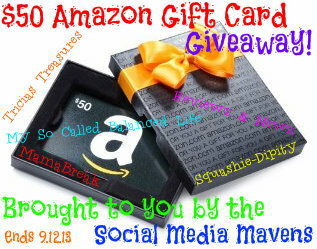 The ladies at Social Media Mavens have teamed up to bring you this amazing giveaway for a $50 Amazon Gift Card! Tricias Treasures, My So Called Balanced Life, Reviewz & News, MamaBreak, and Squashie-Dipity join together to make this year's back to school shopping a little easier! 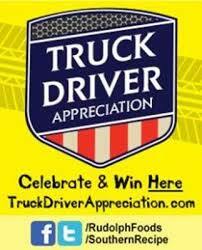 By entering this giveaway, you agree to have your name publicized if you are a potential winner. Winner will be contacted via email upon ending of this giveaway within 48 hours and will have 48 hours to respond or prize will be forfeited and a new winner will be chosen. All prizes will be awarded at sponsors discretion. Giveaway will start at 11:59pm EST (08/12/2013) and end at 11:00pm EST (09/12/2013). Number of eligible entries received will determine the odds of winning. NO PURCHASE NECESSARY and VOID WHERE PROHIBITED BY LAW. Open Worldwide and must be 18 years or older to enter. Buying Meat in Bulk to Save your Family Money! We are really using up the pork we bought from a local farmer and I wanted to share some great experiences I recently read about on The Finer Things In Life by Amy. Checkout her post too! We invested in a deep freeze for great buys and for bulk meat purchases. 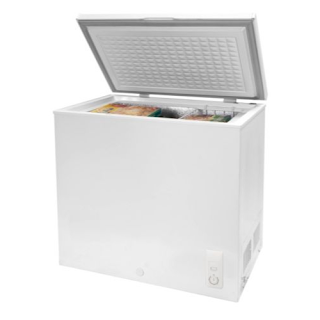 We got this freezer for about $200--which is an amazing deal. Then, we purchased a portion of beef from a local farmer and a whole hog. In Missouri, we love Todd Geisert with Geisert Farms in Washington, MO. The pork is SUPER awesome and we love how the processor he recommended walked us through STEP by STEP to make sure we would use the ham and other portions for OUR family. We got ground pork, bacon, ham steaks (instead of a big ham! These are LIFE SAVERS! and make a quick meal!) pork tenderloin, pork chops and a few other goodies. It was a larger sum of money up front, but we have already SAVED since having our freezer of pork! Our beef comes from Lee Farms. We loved how professional and helpful Rusty Lee was and that they have a great CSA program too! 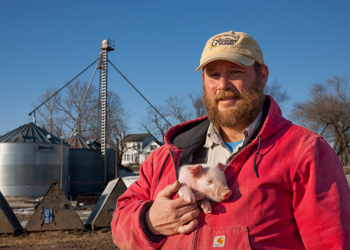 We think finding a local farmer and supplier for meat for your family is a SUPER way to save money. Our meat prices at the grocery store chain keep INCREASING--yet it seems quality is never increasing. We like to involve the boys in understanding where their food comes from, too. This is a super way to help them learn, see another family in-action working the farm, and also get out of the city a bit! What do you do to save on meat for your family!? 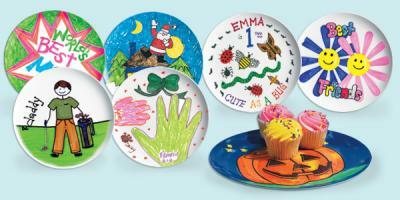 We are so excited to review these Make A Plate Art Projects. I’ve just been given the opportunity to review the Make A Plate Art Project and I’m looking forward to sharing it with you. Are you ready to eat healthier? Sometimes the things that are really unhealthy are "hidden" in our diets. Sure, we know eating that entire cake will probably not be great for our waistline, but what about other foods. We recently received "Unjunk Your Junk Food" for review, and loved it. 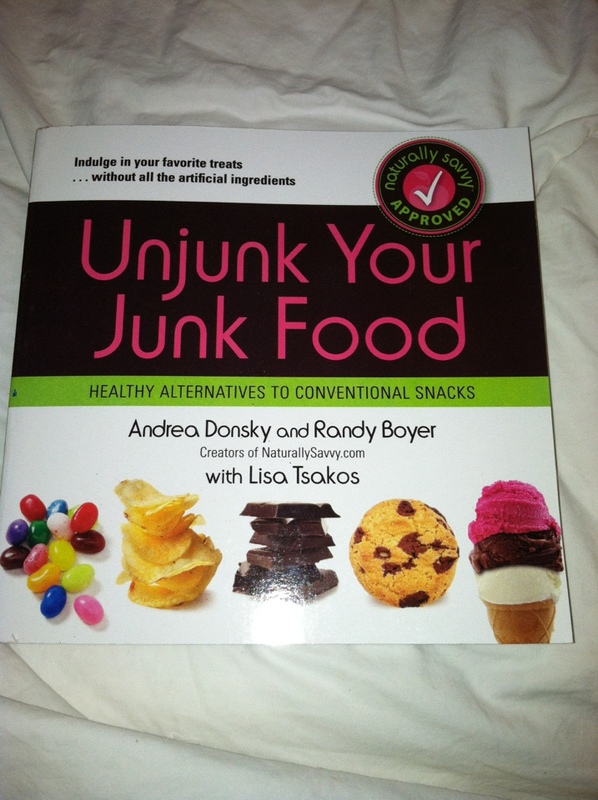 Unjunk Your Junk Food focuses on ways to eat healthier. For example, instead of a Crunch Bar-- have a healthier alternative-- Qbel bar. There are a TON of these types of suggestions for a variety of products! Our favorite chapter was Chapter 8! We have a HUGE sweet tooth and love dessert, so we loved reviewing healthier alternatives! MamaBreak received Unjunk Your Junk Food to review here on MamaBreak. We did not receive any other type of compensation. As always, our opinions and experiences are our own. Are you looking for more support during your pregnancy? 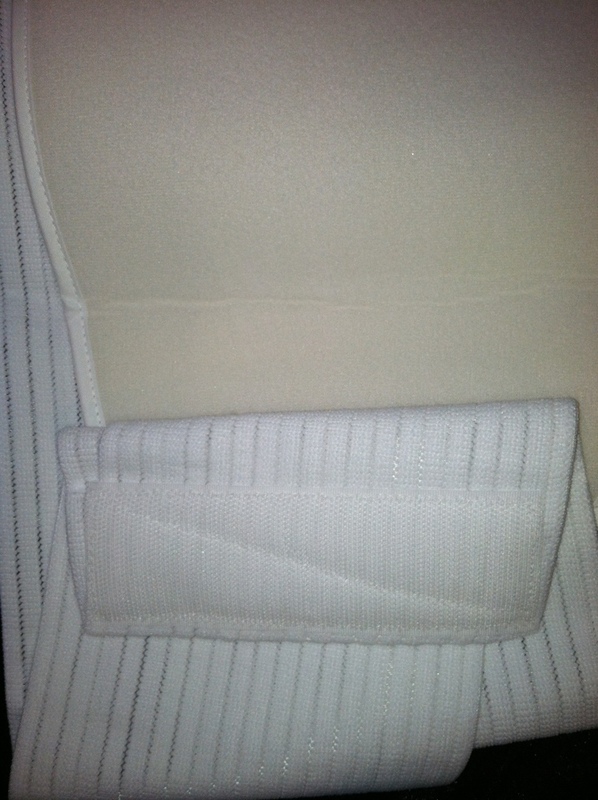 We had a friend review the At Surgical Maternity Support Belt (because the Mamas here are not currently pregnant) because we know many of our readers ARE pregnant. 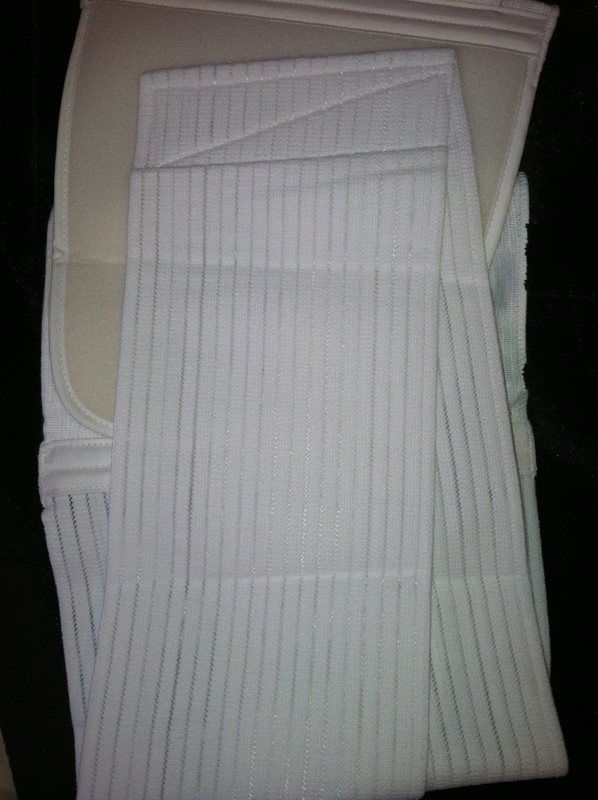 It offered great support and helped ease her back pain. We love how thin it is overall. 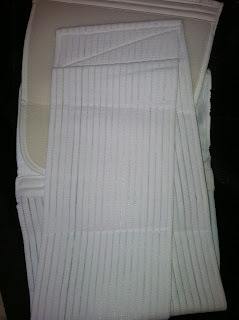 It can easily be worn under clothing at work, and it is a comfortable material, so you will be comfortable all day long. 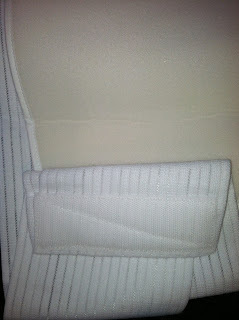 We also loved the velcro closure. This made it easy to put on and take off. The tummy panel gave the perfect amount of support throughout 2 months of pregnancy, and because it velcros it can grow WITH your baby! Cleaning is so simple. We hand washed ours with no problems! Build-A-Bear Workshop for a Happy Birthday!